In order to keep our focus on the beautiful blooms and filter out any non-flowering plants we must remember to mark Plant Phenology as *Flowering* in the drop-down menu of the Annotations field on our observation page. Sounds complicated? It really isn't after you have done it once. It is merely a matter of getting into the habit of doing it on all your flowering plant observations. And if that observation is within SF city limits this will put the WoSF icon in the Projects column on your page and also list your item in our SF wildflower inventory. Hurrah! This is a trail through the headwaters of Bayou Chico, there are several different entrances, an excellent boardwalk through the majority of the trail when entering on Fairfield drive. Bug repellent is recommended during the warmer months, mosquitoes and biting flies can get quite intense. I walked the entire length of the Trail without difficulty and I've had a stroke that caused me to drag my right side somewhat, it is wheelchair friendly as well. This is an excellent place to observer many species of fungi, plants and animals. Black bears have been known to use the floodplain as a thoroughfare along with deer, ducks and maybe even some pigs. I use to live along this greenway as child, we had a neighbor whom had several pigs escape back in the 1980's. The creek has excellent bream fishing, beavers, alligators and so much more, take a look for yourself, I think you will enjoy yourself. Tuesday, April 16th 8:30 am. The hayfield, which was dry and brittle only a week before, now bore a plethora of lush, green grasses whose young blades flickered in the wind. It was wondrous how a few days of rain brought about such life and diversity. Standing at the entrance of the farm, I thought of the tiny seeds that had tucked beneath the soil all winter long and waited to be awakened by spring. As the saying goes, March winds and April showers bring forth May flowers. The chickens seemed quite happy with the development of fresh vegetation and happily romped about, pecking at the damp soil. I tried to look forward past the field to judge the amount of flooding along the bridge, but the harsh reflection upon the water’s surface made it impossible to see the water level. All along the riverside, the maples acquired deep red leaves. However, the most notable development was the willow which grew at the river’s entrance. The willow, which I had not noticed before, bore golden leaves which swayed in the morning wind. There was no other tree along the bank which reflected the golden hues of the spring much like the willow. As we walked to our location down at the river, it became apparent that we could not access our BioCube. A week before, we entangled our BioCube in the aquatic plants which grew along the water’s edge. In anticipation of increasing water levels, we secured our Biocube to a nearby tree. However, the flooding submerged our cube completely, making it impossible to get to it without getting waist-deep in water. Due to this unforeseen event, we decided to look around the river for small insects and newly budding plants. Looking for insect life, I dislodged stones from their places, causing clouds of glittering minerals to systematically rise and settle in the water. The fields of dry grass now looked like a tiny ocean. Underneath the water along the path grew several two-leaved sprouts about the size of a quarter. These sprouts were a bright green and had managed to twist their way around the rocks that made up the farm trail. After plucking one, I observed its translucent stem and dark, long root system. Its roots were almost the size of its stem which spanned about two inches. I found a second root; this one was thick and structured. It did not have multiple visible roots, but rather a single stem that extended deep into the ground. Similarly, instead of delicate petal-like leaves, it’s top still consisted of the individual, continuous stem which tightly curled. Several insects jumped about the water’s surface. They were too small to properly examine and too quick to sample, so I was never able to capture an image. However, I suspect that a portion of these organisms was a sort of mayfly, which is quite common in water ecosystems. Amongst the other organisms were also the Eastern Black Carpenter Ant, Ramshorn and Amber snails, and the Wolf Spider. Without looking closely, one might mistake the Ramshorn snail and Amber snail as the same species due to their similar golden hue. However, on closer inspection, the structural differences in the shells become apparent. 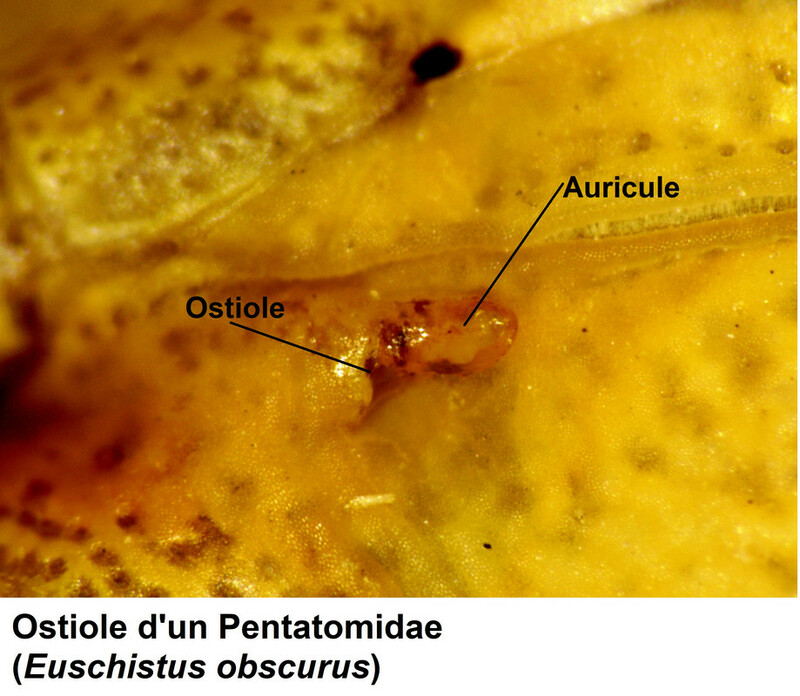 The shell of the Amber snail coils to a fine point, forming the classic cone shape. The Ramshorn shell, on the other hand, is coiled into a disk. Looking at different morphologies, I thought about the biological mechanisms that isolate the gene pools of these two species and prevent interbreeding. Even with a mating attempt, postzygotic barriers would prevent fertilization. Taking 15 minutes to listen to the sounds of the farm, I noted the overpowering sound of the morning wind. This morning did not seem particularly windy, but it was as if the wind accumulated at the base field. Suprinsgly, I could not hear the water despite its overabundance. When we first arrived at the farm, a particular species of bird made deep croaking noises which sounded similar to an alarm. Its song evoked images of splitting leaves. The call was not random and followed a regular pattern: four or five chirps followed by a long, substantial call. By 10 am, the wind calmed down, and the birds no longer sounded their alarms. Only a few individuals occasionally exchanged dulcet chirps across the maples. The engine of a nearby train echoed across the field. I took notice of the rustling sound of dry leaves. I also noted the warmth of my hair due to the sun, which was now high up in the sky. At 10:30 am, the wind was almost entirely still, and it was if the whole farm was listening back. City Nature Challenge 2019 - starting soon! Last year, the Triangle Area competed against close to 70 other cities worldwide to see who could document the most species on iNaturalist over a 4 day period. We finished in 14th place overall with over 9000 observations. We had events at the NC Museum of Natural Sciences facilities in downtown Raleigh and West Raleigh and worked with other sites and organizations to get as many people as possible out photographing the amazing biodiversity of our area during the Challenge. We're gearing up to do it again this year April 26-29, but this time we're up against over 250 cities worldwide. Let's show the rest of the WORLD how amazing our biodiversity - and our citizen scientists - are as we win the City Nature Challenge 2019! Participation is simple: photograph species within the Triangle Area and upload them to iNaturalist via the smartphone app or online. (Note that the Triangle Area for this event includes Wilson, Rocky Mount, Fayetteville, Goldsboro, Greensboro, and Henderson - it's a big area!) 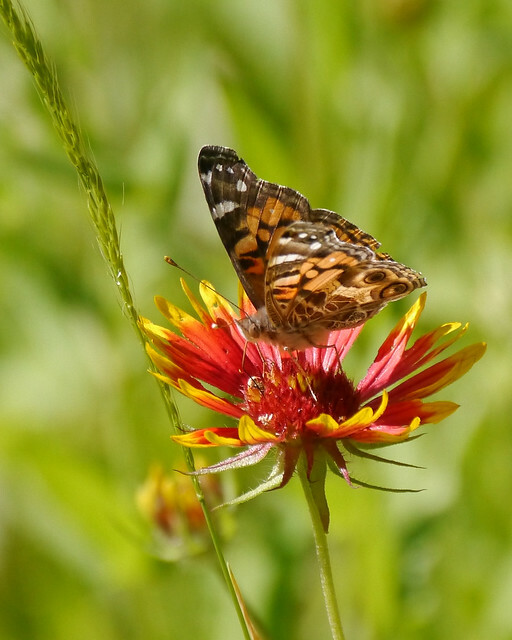 You can participate on your own, or join the NC Museum if Natural Sciences, NCSU, Triangle Land Conservancy, Chapel Hill Public Library, the NC Entomological Society, and other locations for guided walks, talks, and other related activities. We likely need 30,000 observations to have a shot at winning, so we need as many people out in as many places as possible to have a chance to win this event! The full list of CNC Triangle Area activities is coming soon and will be posted both here and on the NC Museum of Natural Sciences website. In the meantime, get your cameras ready to help the Triangle Area win the City Nature Challenge 2019, April 26-29! Questions? Want to host a City Nature Challenge activity at your site? Contact Chris Goforth @chrisgoforth or via e mail at chris.goforth@naturalsciences.org for more information on how you can get involved! Bobcat That Survived California Wildfire Gives Birth to Four Kittens. Four kittens were born to a bobcat that survived the deadly Woolsey Fire in Southern California last year. They've been named B-364, B-365, B-366 and B-367, after their mother, B-362. It's been raining on and off, so the ground is over saturated and there are standing puddles. My boots are designed for wet and mud, but this is a little over the top- my socks are soaked. I can hear the water sloshing in my shoes, as well as my partners' shoes. There's life in the little puddles, however. I spotted a tiny spider that seemed to dance over the surface of the water and, despite its diminutive stature, spun to face me as soon as I crouched by it. I'm sure it was preparing to fight me if I came too close. I also spotted a little meadow slug, dark brown in the shade and lighter brown in the sunlight, and sat still as it crawled over my boot. Some of the organisms really don't care what we are, do they? It doesn't matter that we're humans, or how big we are, or what we look like- to some, we're an enemy or predator, and to others we are just an obstacle in their way. I almost sat in a patch of thistle. This has happened far too many times in my life, so I should know better than to just sit on something that's green, but that's just how life is sometimes. Painful. Luckily, I avoided it- I took a picture and moved on to a sturdy looking stick on the ground. It promptly broke as soon as I sat down, but again, that's just how life is. I stood in the middle of a few trees a fair distance from my group this time. I just stood there, listening to the little peepers peeping and birds chirping. The wind was quite strong, and made the trees and barbed wire squeak where they rubbed together. I can't help but notice how some of the trees have grown around the barbed wire until it's embedded in them; it would do more harm than good to try and remove it, at this point. Sometimes I feel like that- like the barbed wire. Like I've just grown in this little space I occupy that I don't belong in at all, and everyone has just gotten used to me and grown around me. It'd be too much trouble to change that now. The ground is wet and a little cold. The wind whistles through the thin, bare trees around me. I can smell decaying leaves and warming mud. The sun is too weak to reach me. 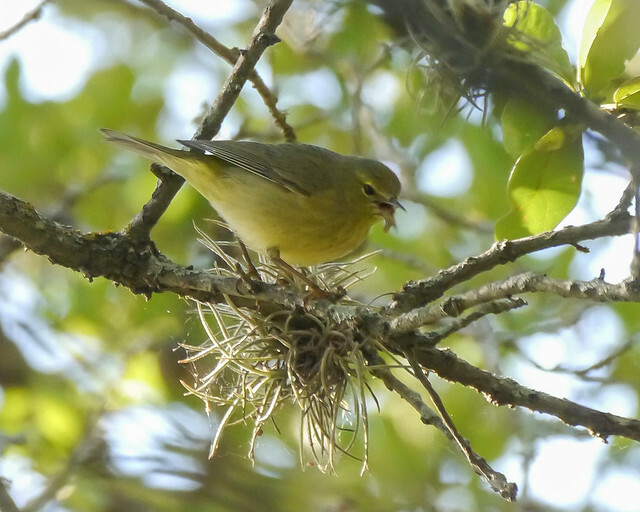 Birds sing and hop from branch to branch, avoiding me and my group and watching with beady eyes. They wonder what we’re doing, when we’ll be gone. We don’t belong. Someone goes jogging by on the walkway near us. I wonder what they’re thinking- do they see some teenage punks who should be in school messing around in the woods? Do they think we live in the area? Do they not even notice? Mud is smeared on my jeans and boots. I know my dogs will smell it on me when I return home; I wish they were with me, because my yellow labrador Ellie loves the woods and water. She’s a hunting dog, and would love to run through the fields and chase the birds. My beagle, Agnes, has never been in the woods before. She’d probably be terrified of everything. It smells nice out here. Crisp and cold, but there’s the scent of warming air. I know spring is here, but it’ll take a while yet for the buds and flowers to appear. I miss spring and summer, with life everywhere you look. I like looking. Four people joined me this morning for the monthly group walk on Hill Country Conservancy's Nalle Bunny Run wildlife preserve. 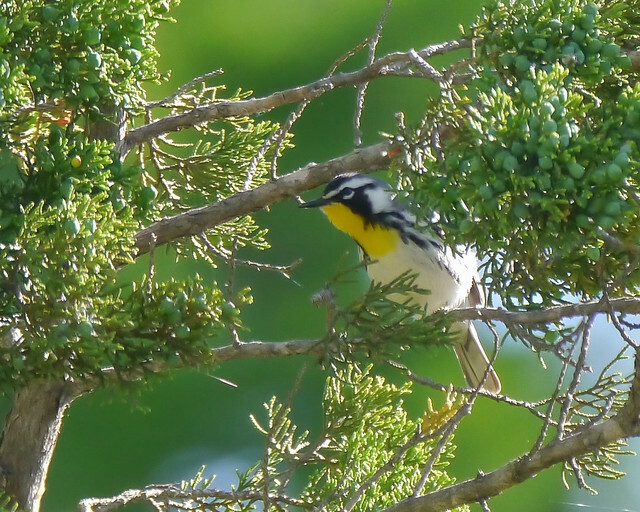 We spent nearly 3 hours finding 35 species of birds and enjoying beautiful weather and lots of blooming wildflowers. 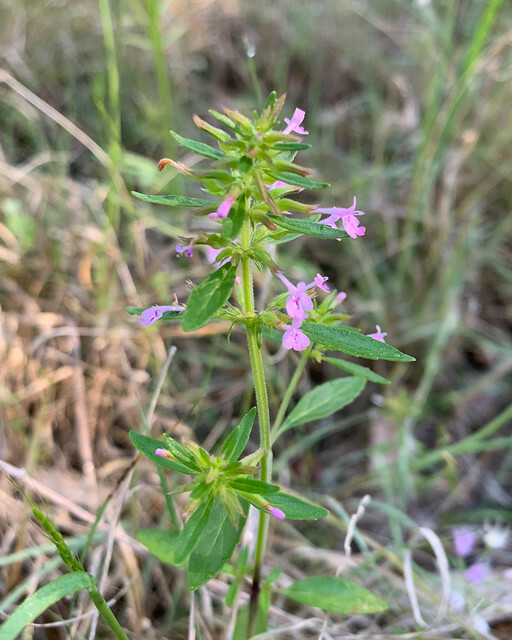 This preserve was loaded with this tiny pink flower which the iNaturalist Seek app identified as Slender Hedeoma. I'm curious to see if the iNat community agrees with this! And attached are the same photos as iNaturalist observations. Last week at the farm was very informative. When we got to the BioCube we noticed that the cube was submerged. It had not been before. It had rained earlier in the week and it was clear that the water levels had changed. The cube was also in disarray. Multiple poles had disconnected from one another, probably due to the rain and high water levels. We found many bugs in the stream. My groupmate picked water up with the cloth net and drained it away, leaving only the debris and organisms. One bug was long and oval. It had an orangey-brown color with a dark line down its sectioned back. It also had more than 6 legs and swam fast around the tupperware container we put it in. Another bug was extremely skinny, almost like a stick. It was light brown and had 6 legs. It also had a fin-like tail. Its head had two black eyes on the sides and two antennae. Another bug was similar but thicker and darker. Its tail split into two, both fin-like. It also had 6 legs and two antennae. One bug was translucent with a black line down its back and many legs. It curled up on itself in the water. 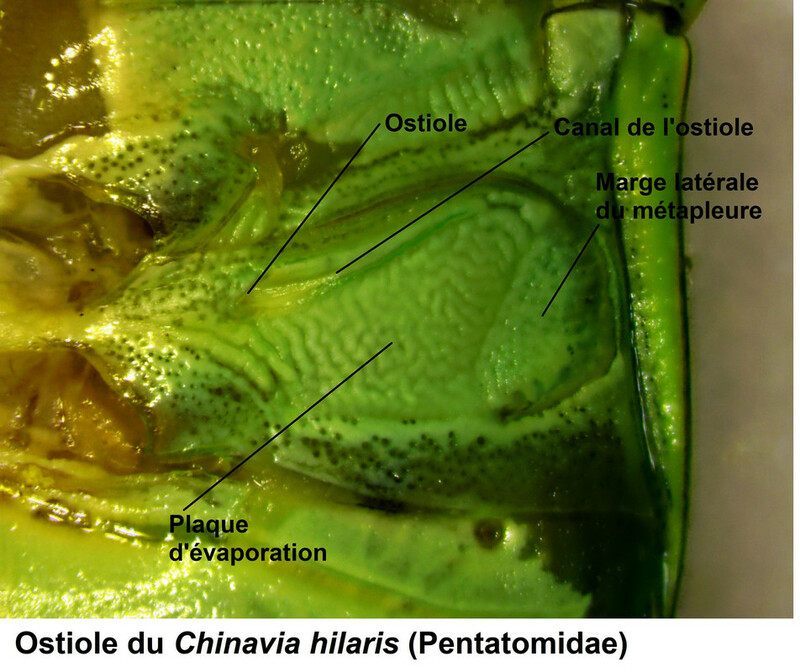 One insect was a brown-green color with a sectioned back, more than 10 sections. Its tail split into three and each part ended with a sharp point. It had fin-like structures attached to its back. The last insect we observed was a spider. It was very small and dark brown. We caught it at the edge of the stream and it moved fast by the water. We found many plants of interest by the stream and in the water. One plant that was very abundant was the skunk cabbage. There were more than 40 in a 20x20 foot area. Each cabbage was composed of a bundle of large, light green leaves and a small purple structure curled up next to the leaf. The purple structure had yellowish spots covering its waxy exterior. We found thorns everywhere on the shore next to the stream. The sticks the thorns stuck out of were red and next to the thorns on the sticks were bundles of very small green leaves. Each leaf had many lobes on its edge. Close to the ground we found small almost circular leaves. They were bundles and medium green color. They also were covered in small holes, perhaps made by an insect nearby. Near the ground, we also found a different species with different leaves. They were very waxy with almost a shiny finish. They also were arranged in a sort of flower petal pattern. The leaves at the base of the pattern were a dark green, and as they got closer to the center of the pattern the color became lighter. As it was the last day at the farm, we made sure to bring back everything in the BioCube. Using the cloth net we retrieved water and insects from the stream in the BioCube. We also dug up the soil at the bottom of the BioCube. There were multiple plants we brought back to analyze as well. We made sure we also had the detritus from the BioCube. Using the tupperware we captured the bugs described earlier and will analyze them in the lab next week. The day was overcast and it even rained a bit, but to my surprise my phone camera captured the biodiversity much better in the overcast lighting. I found that the images came out more clear and more detailed than they had in past weeks. I was able to capture some good pictures of certain organisms, especially the skunk cabbages. The intricacies of the cabbages really came out well in the pictures. Some of the pictures of the other plants came out really well too. I am really excited to get into the lab next week and really analyze the specimens we collected today. I am very interested to see the biodiversity present in a western Massachusetts stream. I am also interested in looking at the stream water through a microscope, something we were unable to do in the field. I predict we will find many protists, probably primarily algae and it will be interesting to see. Today the WILDFLOWERS OF SAN FRANCISCO Project was born, a subject near and dear to my heart. Instantly (algorithmically) populated by several hundred observations it proves that wildflowers are alive & well and *thriving* in a densely populated urban environment such as San Francisco. What a ringing endorsement of biodiversity, conservation and adaptation! ~ Thank you, everybody, who is out there on the proverbial 'Streets of San Francisco' finding and recording local wildflowers. ~ Please feel free to join me in this project. Today started off good, with spotting a Mockingbird pecking in the grass in my yard, then moments later while washing dishes I spotted a female House sparrow take a piece of lint off the ground, then discarding it. I suppose it wasn't deemed good enough for her nest, wherever it may be. I can't help but wonder if it has to do with the male House Sparrow I saw disappearing into the loose shed roof in my neighbors yard yesterday, carrying a bundle of dried grass. I found out I have a species in the Oxalis family behind our oak tree. How cool is that? It didn't take long for me to become bored holed up in my room on spring break so I decided i'd grab my camera and walk around the neighborhood. First I saw a beautiful mockingbird perched on a cable wire. A lady walking too nearby was probably wondering what on earth I was doing. I stopped under the shade of a large tree to see if the cracked bark was hiding anything interesting. Nothing I could see today. Except of course the massive fire ant pile nearby. Now, this was exciting. I got photos of a Blue Jay. Blue Jays are hard to photograph because i've noticed they like to hide in dense brush or amongst the trees. i saw one through the low hanging branch of a random person yard. Perfect! This was the second time I ever got to photograph a blue jay. I made sure to stop at a ditch which is known to have some cool stuff living in it. First thing that caught my eye was a (assumed) female Blue Dasher. It was so close I got amazing photos of it. I turned my attention towards the water, more importantly, the small fish i'd always see in it. I thought they were minnows but upon posting here they're actually a kind of Mosquitofish. I'm having trouble figuring out if its an Eastern or a Western though as i'm certainly not an expert in fish. I'm unsure how they got there, they ditch runs a ways into the woods but as far as I know the woods ends pretty abruptly. Other than that I took some photos of other flowers I do not know, finished the lap and went home tired.Tomorrow I can go back out for more. Spring got off to a slow start for the Island’s mushrooms this year. There was still snow on the ground at the beginning of march, and still overnight frosts even a couple of weeks in. However, the Winter Mushroom, Flammulina velutipes, like this cluster growing from a stump in the Pharmasave parking lot in Ganges, enjoys cold weather and had a great year. This species just freezes solid and resumes normal growth undamaged when it thaws out. Also called Velvet Foot mushrooms, this species has a sticky cap with a rubbery texture and a stem with short velvety fuzz that is darkest at the base. It grows from dead hardwood. The mushroom sprouts between wood and bark and grows under the bark as a thin white root-like strand until it finds an opening in the bark it can emerge from, where it thickens up and takes on its usual orange-brown form. It has a wide distribution and is believed to have originated in Asia and crossed over to North America when sea level were low enough that there was dry land between Russia and Alaska. It is farmed in Japan, where it is grown on sawdust in dark rooms with low oxygen levels so that it thinks it is still under the bark of a tree. The resulting long skinny write mushrooms are sold in grocery stores, including at Country Grocer here on the Rock, as enoki mushrooms. I like to imagine that the early Japanese settlers on Salt Spring Island in the 1890s were delighted to find, during those difficult first winters here, a delicious food they knew well from across the ocean. I hope it was like being welcomed home by the forests and fungi. Perhaps the most adventurous of all mushrooms, F. velutipes has even been to outer space on the Space Shuttle, where scientists wanted to see how the lack of gravity affected their growth. I suspect they were chosen because they could be frozen for easy transportation and storage. The mushrooms grew to normal size, but pointed in random directions and many of them made strange spiral stems. Regrettably, I can’t find a picture of the results. In our area, the Winter Mushroom has a poisonous lookalike that also grows on dead hardwood, Galerina marginata; sometimes they even grow in clumps together. Anyone who decides to collect Winter Mushrooms instead of just buying enoki at Country Grocer should be very sure. As far as I know, no restaurants on the Rock serve F. velutipes, but there are some on Vancouver Island. Especially recommend for lovers of spicy food: the grilled enoki at Ox King in downtown Victoria or Little Skewer Bar in Oak Bay, served with sesame paste and hot sauce. Mm. Although there was much more water this visit, making travel across the farm more difficult, I much enjoyed this visit to the farm. We began our day in the field by observing our BioCube as well as the surrounding ecosystem. I immediately noticed more diversity in the vegetation than when we visited a week prior. Before we began digging and observing though, my group decided to have our fifteen minutes of silence. However, it was very windy on the farm making it difficult to hear the myriad of bird calls I heard the week prior. I still did hear some birds though. I also heard one group close by screaming because someone feel in the swamp which I thought was funny. Because of the wind, I would be constantly turning to shield myself from it. But in doing this, I noticed a hawk gliding in front of the trees and the bright blue sky. This, in turn, led me to taking in the entirety of the landscape in front of me. The farm was especially breathtaking in the silence because the picturesque view was accompanied with only the sounds of nature. When I refocused back to my ecosystem, I began to realize the vast amount of diversity in the vegetation alone. We began digging around the vernal pond, finding many different insects, worms, and other life in the moss and mud, but the thing I was truly interested in was the different plants. Glancing at a field, I used to just pass it off and think that it was all grass or all one specific flower. While still beautiful, I believed there was not much there. However, in the small section outside of the BioCube, there is so much life and diversity it is hard to capture it all. I never would have thought that there are so many different species in only a small area. I now have a much larger appreciation for all things in nature, even if it seems like there is not a lot there. That is because we discovered that there is so much untapped biodiversity as long as you are willing to look. At times it was difficult and I felt discouraged looking because I thought there was nothing for me to find. But after putting in just a little bit of effort, it was clear that there is a lot to observe. I am excited to return to the farm for the final week and dig around some more. I know we will be able to find even more biodiversity than what we have already found. 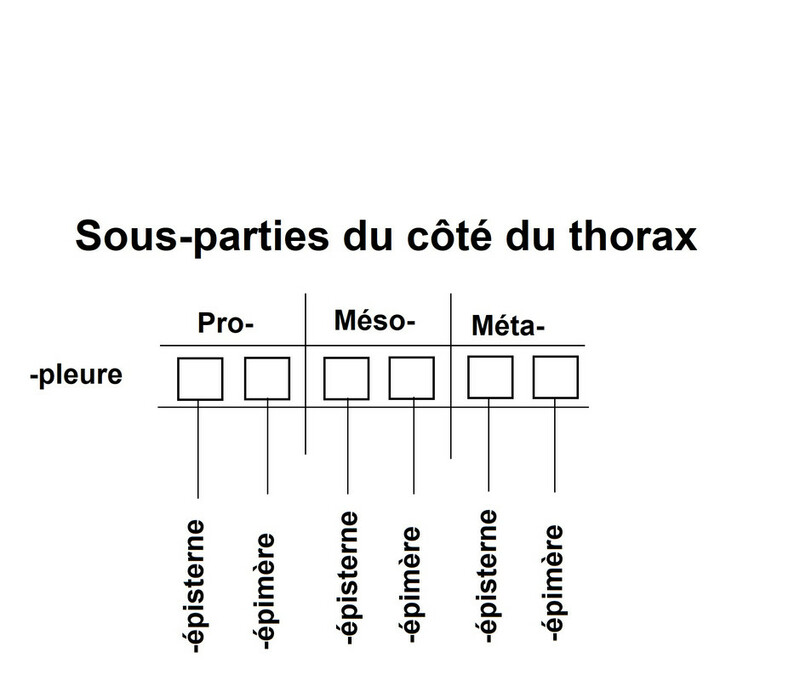 Pour mieux comprendre la signification des termes au sujet du thorax, j’ai ajouté au début ces deux illustrations. Bailey, N. S. 1951. The Tingoidea of New England and their biology. Entomologica Americana 31 : 1-140. Béique, R. & A. Robert. 1963. 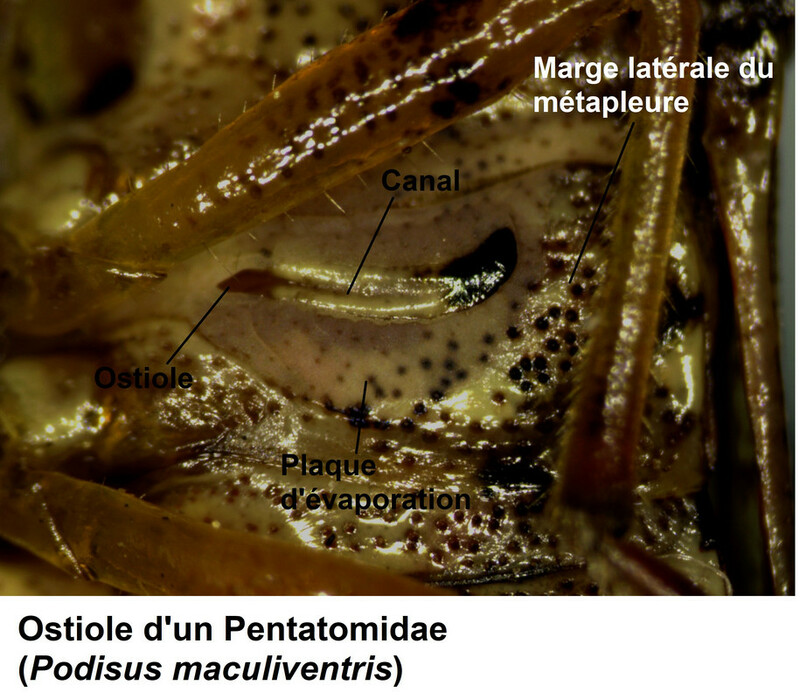 Les Lygéides de la Province de Québec (Hétéroptères) Annales de la Société d’Entomologie du Québec 8 : 70-96. Knight, H. H. 1941. The plant bugs, or Miridae, of Illinois. Illinois Natural History Survey Bulletin 22 : 1-234. 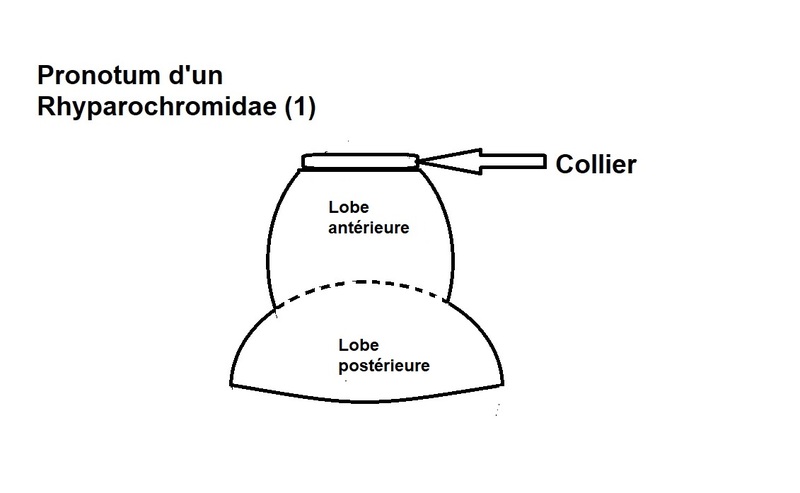 Laliberté, J.-L. 1985. 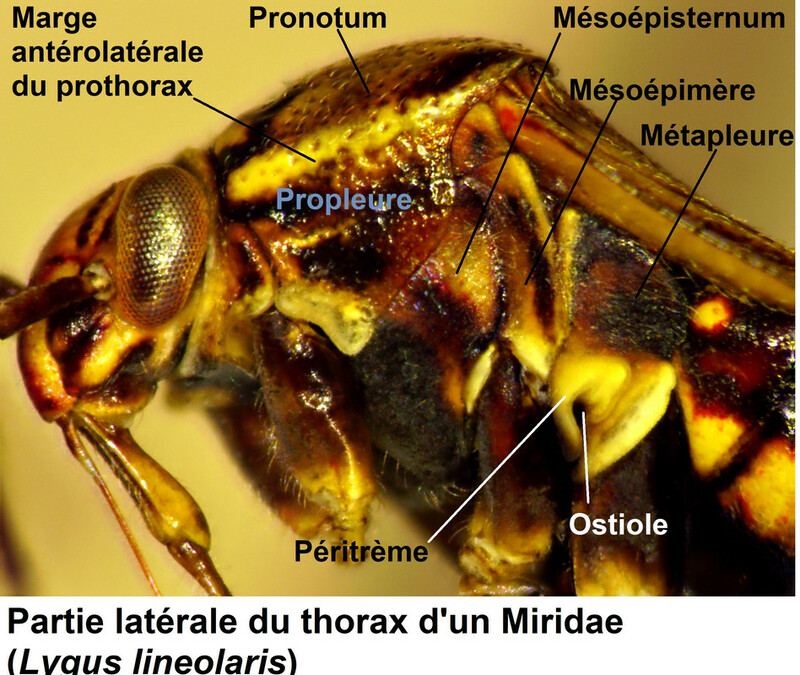 Glossaire entomologique. Fabreries supplément 2 : 123 pages. Larivière, M. C. 1988. 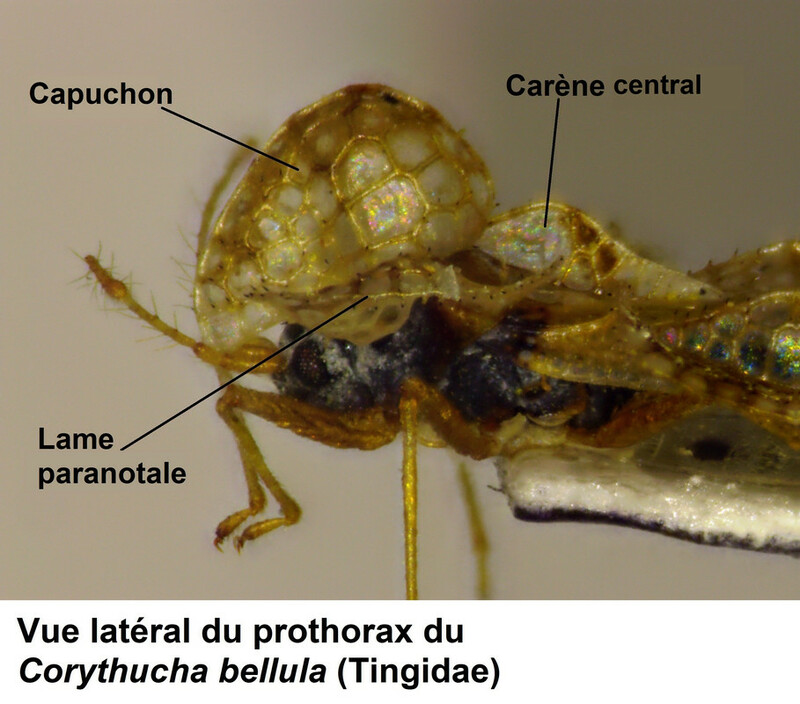 Glossary of the External Morphology of Heteroptera English-French/French-English. Contributiones Entomologicae 1 : 91 pages+ 27 figures. 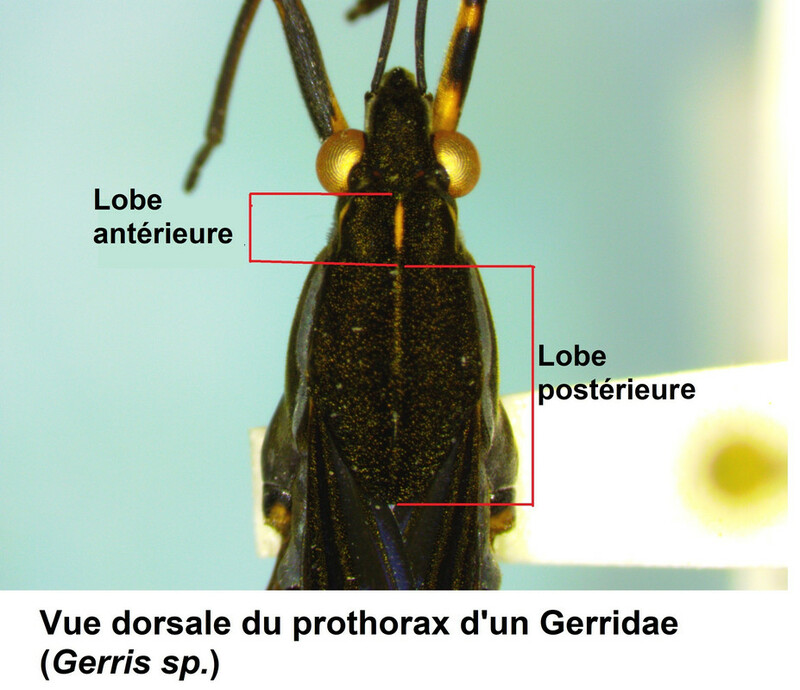 Lauck, David R. Family Corixidae/Water boatmen : 87-123 in Menke, A. S. (éditeur). 1979. 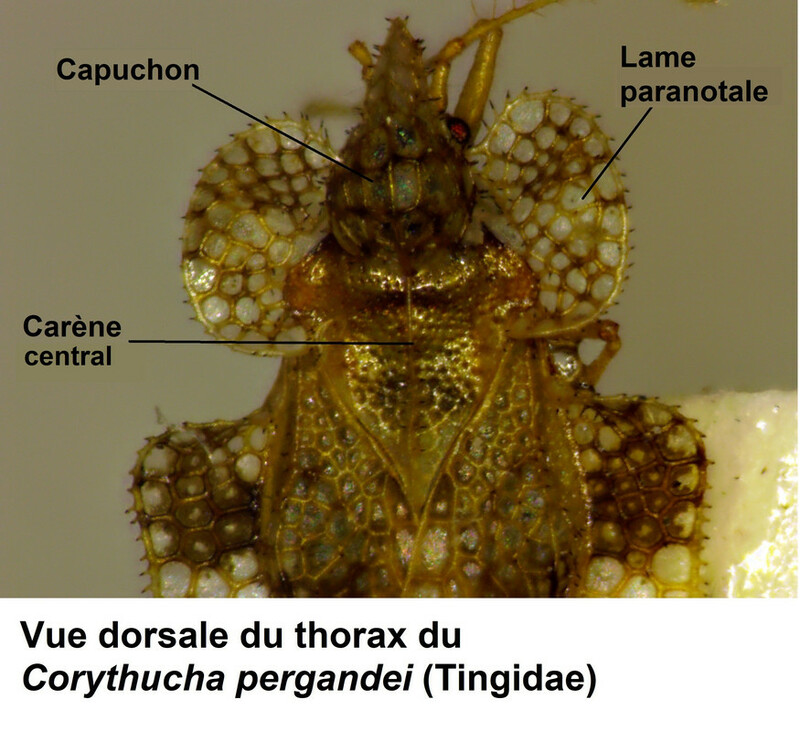 The Semiaquatic and Aquatic Hemiptera of California (Heteroptera : Hemiptera) Bulletin of the California Insect survey, 21 : xi+1-166. Péricart, J. 1983. 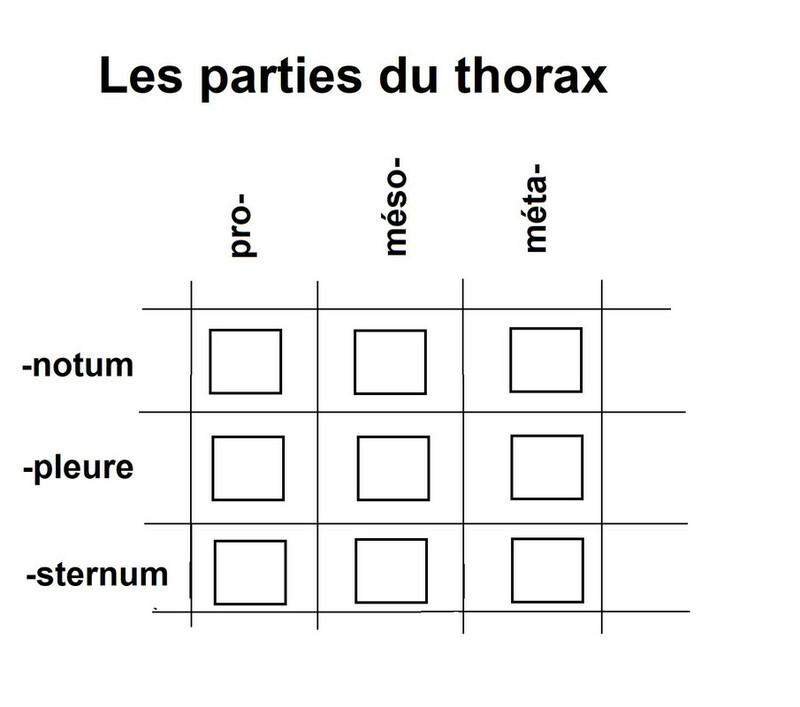 Hémiptères Tingidae euro-méditerranéens. 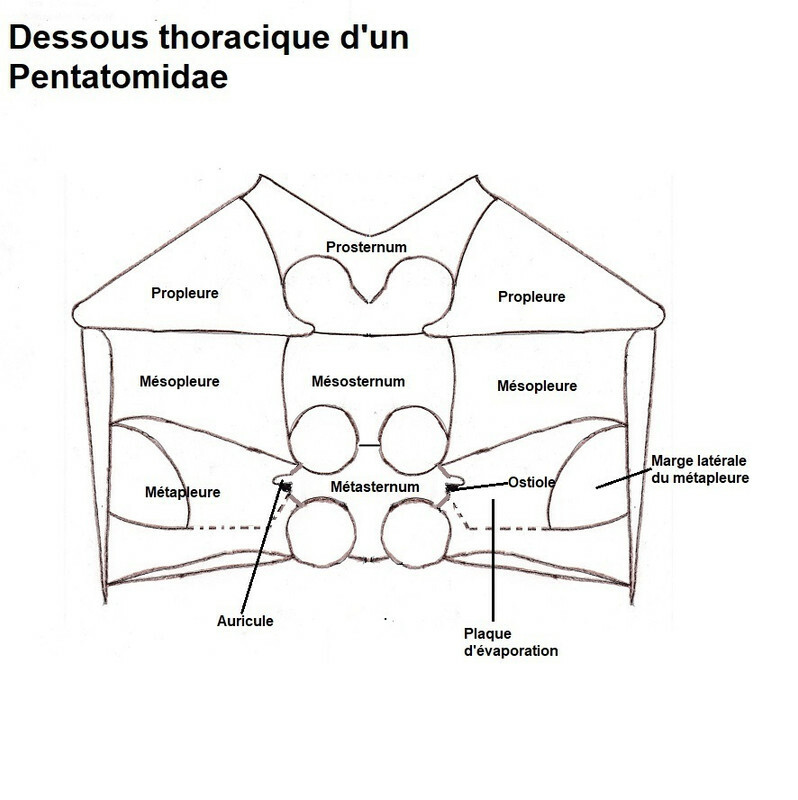 Fédération Française des Sociétés de Sciences Naturalles. Faune de France 69 : 620 pages. Roch, J. F. 2016. 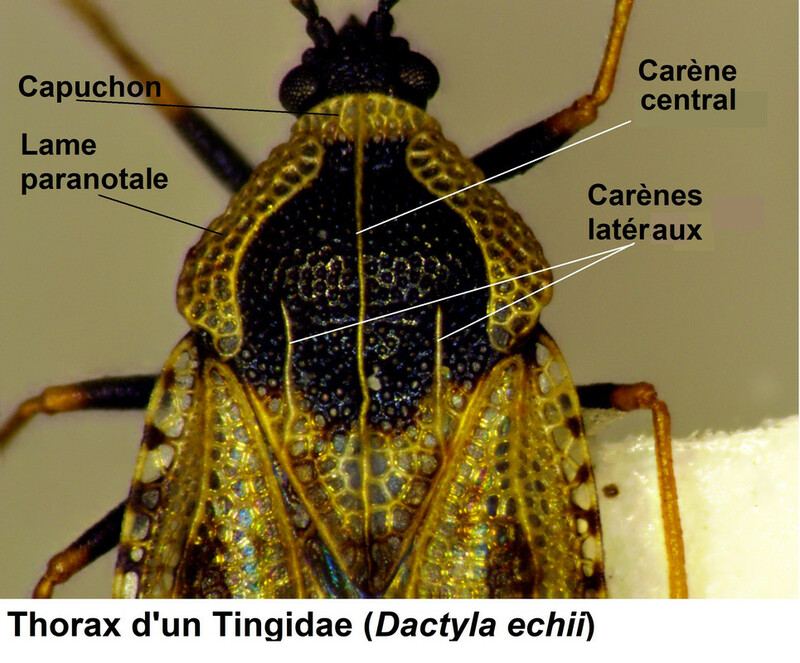 Guide d’identification des Punaises à bouclier du Québec (Hemiptera : Pentatomoidea). 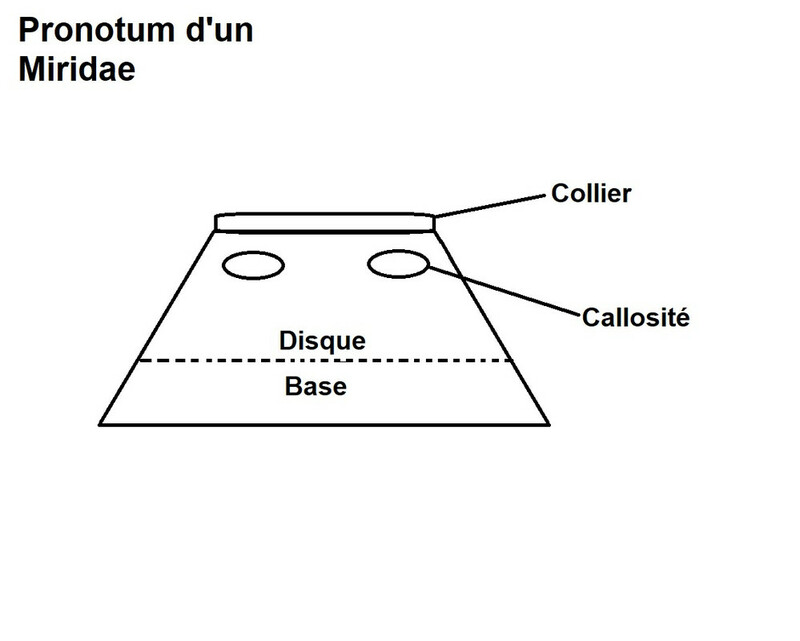 Entomofaune du Québec (EQ) inc., Saguenay, 244 pages. We placed it in the middle of a small pond half submerged in the water, several plants anchored it down. The other half was open to air. The cube was placed at the base of a tree that was at the edge of the pool . By placing the cube in an area that was flooded, in front of a tree, and open to the air, we made it so the cube was exposed to a variety of niches and different environments to allow for a maximum amount of species to be found within the BioCube. My very first thought was ‘This is pleasant’. I want that on record. The nature was beautiful to listen to, and it makes me wish I did it more often. I heard various birds, and I’m fairly certain an insect flew by my ear. I felt the wind blow across my face, not too cold though, like peck on the cheek from mother nature. I heard frogs, too - peepers I’m fairly sure. For me it’s a new ecosystem, being from Puerto Rico - I never noticed just how different the world sounds depending where you are in nature - it makes me want to hear all the soundscapes. This came to an abrupt end, however, when a plane flew by, followed by a train. notes so that the TA’s can read your notes at a later date. In April of 2019, researchers with the Oklahoma Cooperative Fish and Wildlife Research Unit and the Oklahoma Department of Wildlife Conservation (ODWC) began tagging a number of black bass (Smallmouth, Largemouth and Spotted) in Tributaries to Lake Tenkiller, Oklahoma. Streams include the upper Illinois River, Baron Fork, and Caney Creek. We ask that anglers that encounter these fish to record the unique 4-digit tag number (e.g., 7567) for each fish and submit their catches in the Bass Tag OSU project in iNaturalist for a possible reward. 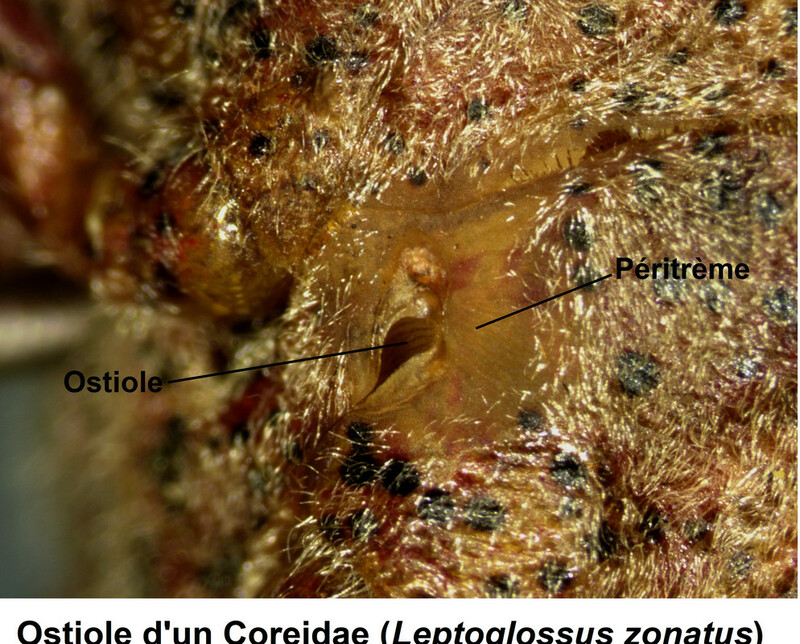 In order to separate the species a clear view of the ventral surface and head are useful. In the figure below 2 key characteristics are highlighted. 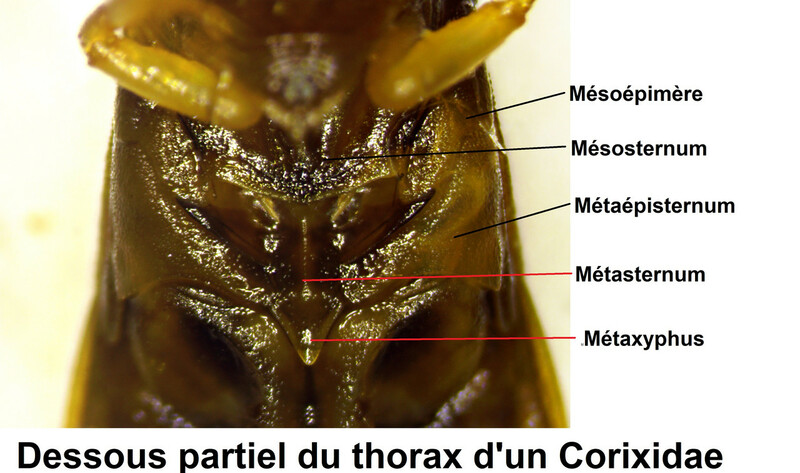 First, on the left, the markings on the palpi (which cover the proboscis). And in A. crawshayi 2 small squarish dots. Secondly, on the right, the way the yellow area in space 8 of the HW connects with the rest of the discal band (circled in red). In A. echeria the basal edge of this area meets the cell at a right (or acute) angle and at the origin of vein 7. 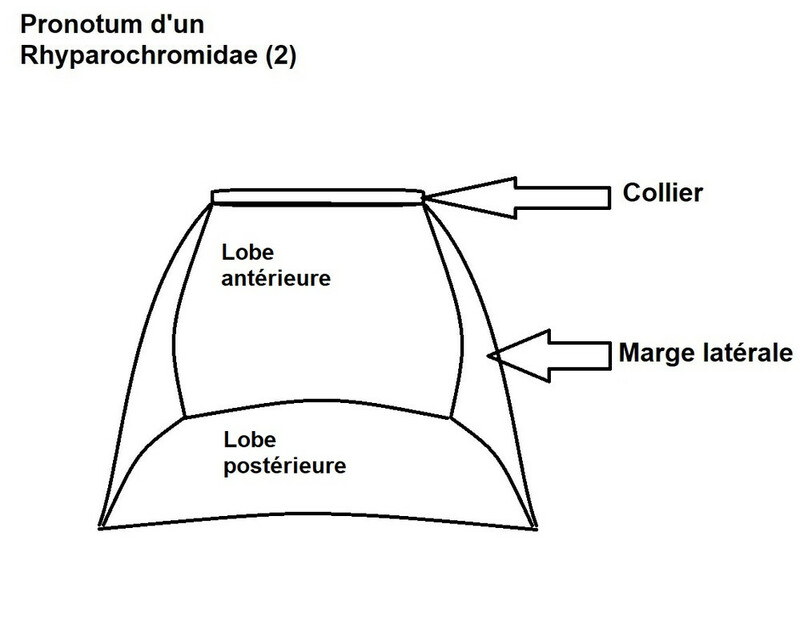 In A. albimaculata the yellow area also meets the cell at the origin of vein 7 but forming an obtuse angle. For A. crawshayi an obtuse angle is also formed but it meets the cell further towards the base of the wing, away from the origin of vein 7. 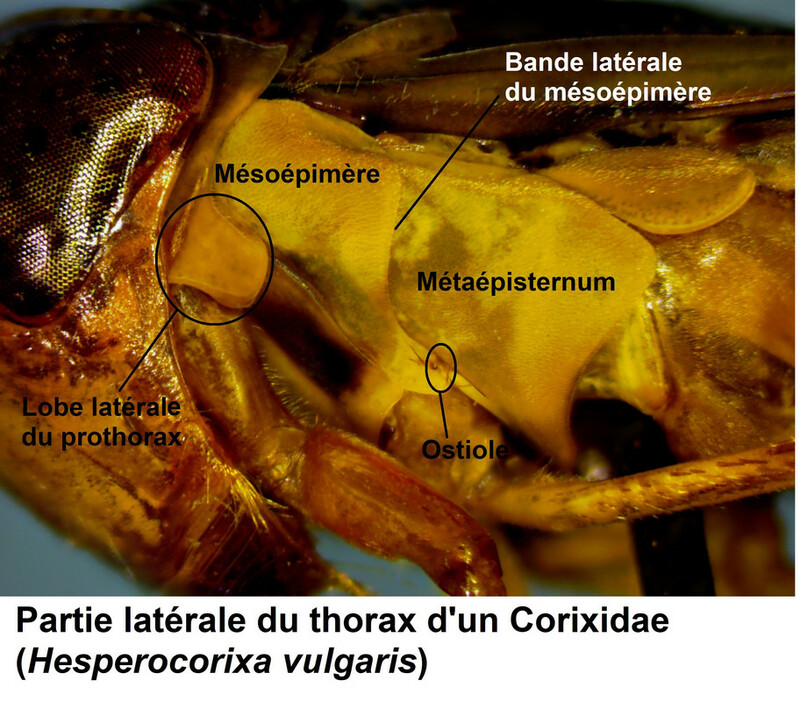 Unfortunately, these characteristics aren't as helpful for a dorsal view of the insect, as the palpi are likely not visible, and the HW band is often somewhat reduced in extent. - In A. echeria the FW spots are usually off-white, even yellow or dark-yellow. This is especially true in Southern Africa. In A. albimaculata, as it's latin name suggests, these spots are always pure white. - A. echeria's FW are more falcate, giving the apex of the wing more of a point. 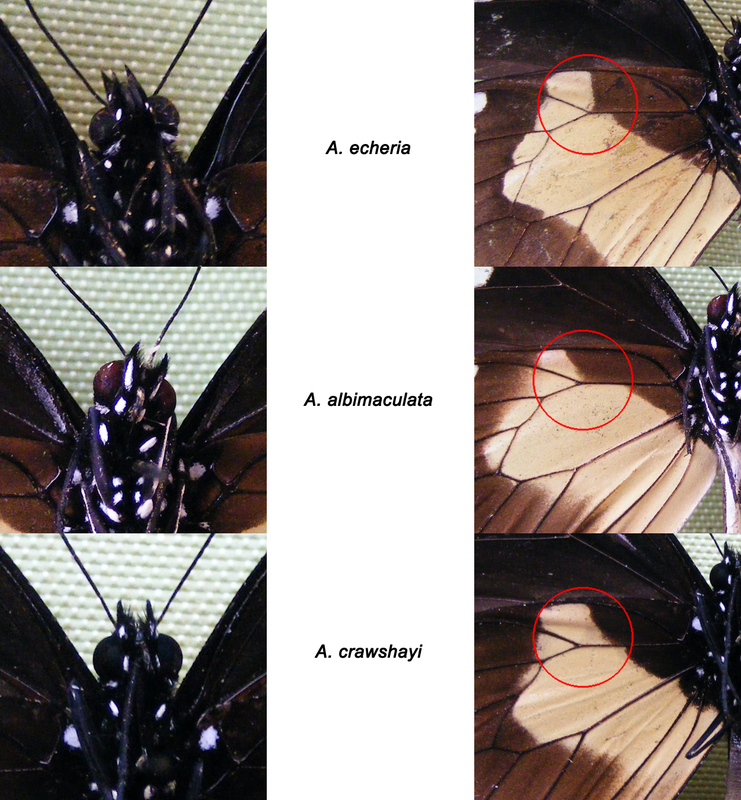 - In general, the edges of the HW discal band in A. albimaculata & A. crawshayi are "fuzzy", while in A. echeria the edge is sharp and well-defined. This rule is subject to some variation from insect to insect. 1) Appropriate Identification: You need to make an identification that is to (at minimum) the Kingdom level. If you have a general idea of what you're posting, go ahead and include it. That could be as broad as "bird" or "plant." Many people helping identify observations on iNaturalist will filter the observations by the group of species they know how to ID (like birds or plants), so observations with a blank ID or incorrect ID will be excluded from those filtered searches. Putting in a general ID helps funnel your observation to someone who might know what they're looking at so that it can get identified more quickly. Also, please don't add joke or otherwise false identifications on iNaturalist. 2) Accurate Date and Time: Contains an exact date and time when the observation was made. 3) Multiple, Clear Photos: An observation should have multiple photographs (if possible) of the organism that are high quality, and show key characteristics such as coloration, texture, and (if present) reproductive structures. 4) Accurate Location: Contains a precise location with coordinates that are within Florida and are not private. If you are concerned about revealing the location of a sensitive organism (or where your house is), you can hide the exact location from the public by changing the "geoprivacy" of the observation to "obscured", but please do not make your observation "private". To add a location, click the "Edit" button above, type the name of the place in the box in the text field above the map and below "Where were you? ", and click "Search." You can use the map below that to click and drop a push-pin to more accurately show the location. 5) Detailed Description: Each observation must include the following a description is provided for the observation that includes a visual description of organism, the habitat in which the observation was made, and a reference. The visual description should include shape, size, color(s), behavior, and (if present) reproductive structures. At least one reference (such as a website or field book) is provided that contains a description of the organism. 6) Wild Organism: Observations for this project cannot be cultivated, captive, domesticated, feral, and / or a specimen. iNaturalist is primarily about observing wild organisms. One organism = One observation. Avoid adding multiple observations of the same organism. Also avoid adding an observation with photos of many different organisms. Each observation should be about a single species. This is the same alligator, but the photos are spread out over two observations. These observations need to be combined into one. A quick way to fix this observation is to use the duplicate feature. In the upper right corner of the observation page, click the downward arrow next to "Edit" and choose "Duplicate." Then identify the duplicate observation as the organism in your second picture and uncheck the checkboxes next to the other pictures. Then come back to this first observation, click "Edit," and delete the extra pictures. What Is Being Observed Here??? If your photo is too zoomed out, it may be unclear what you are observing. Here the user is observing a fungus, but which fungus? There are multiple lichens in the photo, but it is unclear which lichen they would like identified. It's helpful if you can crop the photo more closely to the subject. Cropping usually makes it easier to get an identification too. There are multiple lichens in this photo! iNaturalist could not identify an organism beyond the Kingdom level because it was not clear what organism the observation was about. For this project you must avoid observing captive, cultivated, domesticated, dead, feral, and specimen organisms. This is cultivated plant. Signs of a cultivated plant include maintenance on and around the plant, such as pruning, sprinkler systems, and mulch. We are not interested in captive or cultivated organisms for this project. Anyone home? If the answer is no, then this organism cannot be submitted to our project. We are only interested in organisms that are still contributing to the biodiversity of Florida. This is a Domestic Muscovy Duck (Cairina moschata var. domestica). We are not interested in domesticated organisms for this project. Are you not sure if your observation meets the requirements for this project? Please leave a comment on this journal post or contact your professor. We went on a boat with DNR that left from grice and went around the Charleston harbor. While we were in the water, we set out nets to try to catch as much as we could to see what was on the bottom of that specific area floor. Thanks everyone for attending and helping in this amazing BioBlitz! Over 100 people attended the BioBlitz, documenting 313 species in over 1,700 observations (and counting!). The weather was perfect, the flowers were beautiful, and the kids were great. We documented 166 plant species, including many spring flowers, and also many native trees and shrubs, with a remarkable number of 7 oak species. We documented many beetles, including click beetles, Metallic Wood-boring Beetles, weevils, lady beetles, and many soldier beetles that were foraging on the wildflowers, searching for aphids to eat. It will be part of the City Nature Challenge - a global iNaturalist competition! I am back in Rhode Island for the weekend so I decided to take the opportunity to go birding down here. I was hoping I got to catch a glimpse at some species that I haven't seen in Vermont yet. When I left my house the temperature was 60 degrees. It had been on-and-off raining for a couple hours at this point in the morning so as soon as the rain subsided for a moment, I hurried out the door to try to avoid getting soaked while birding. The sky had 100 percent sky cover and it was fairly windy. When I got to Tuckertown Park I immediately heard and saw many American Robins on the grass. This is very common for southern Rhode Island. For the rest of my birding excursion I kept hearing and seeing more and more Robins. After about 20 minutes, I saw a flicker of blue fly through the edge of the woods near where I was sitting. I sat for a few minutes trying to location the perched bird. Eventually I spotted this individual. At first I thought it was a Barn Swallow, but noticing its relatively shorter tail I decided to mark it down as an Eastern Bluebird. While watching it fly from perch to perch alone the edge of the woods, I noticed it was traveling closely to another Eastern Bluebird. I assume this was a mating pair I was observing. Them flying in pairs could be a common mating behavior or possibly a means to more efficiently search for food. I presume that there nest must be close by the edge of the woods where they were flying. Along with simply being a mate, I think that being with another individual increases defense as well. I noticed that they would both jump from one perch and fly to another at the same exact time as well. This could be a type of mating behavior or a means to increases defense. A half an hour later I observed a pair of Tufted Titmouse flying and feeding on buds in close proximity to each other. In the same general location I saw a small group of European Starlings. During my "Sound Map" I heard at least 12 different types of calls. I could identify the Robin, Starling, and the Tufted Titmouse, but the vast majority I could not identify. I spotted so many species that I didn't know during this birding excursion and wasn't able to get pictures of them to look at them closer. I will try to go out tomorrow and identify more. Congratulations to all of the nature enthusiasts for making it to 11 million observations in the American 50 project. 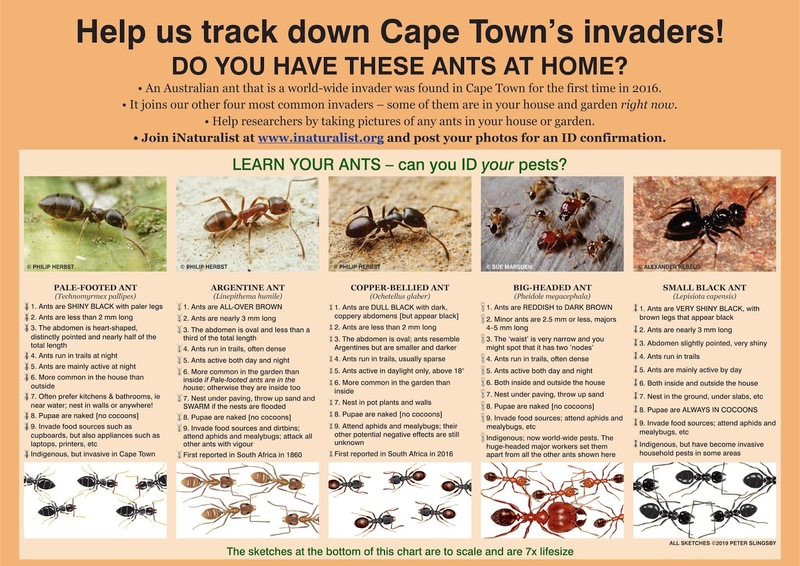 Right click on the chart, choose 'Save Image As' and save it as 'Cape Town Ant Chart' or whatever title you choose. I hope you're all excited about the CITY NATURE CHALLENGE and are busy getting your phone and camera batteries charged! Once again, Hong Kong has entered this competition with over 170 cities worldwide and all participants have to do is take photographs of nature (trees, plants, insects, birds, fungi, fish, reptiles, rocky shore/mangrove sps etc) and upload them onto iNaturalist. That's it!!! You have been tagged as you are one of the most prolific iNaturalist observers and identifiers in Hong Kong and I would love for you to get involved! Here are the targets for this year (with 2018 results for comparison). As many of you are experts in your field, I’d like to invite you to an ‘ID Party’ to further identify observations on iNaturalist and engage with participants online. Venue: WWF – Central Visitor Centre. 1 Tramway Path, Central. Refreshments: Food and Drinks provided. This is important as it encourages participants to continue using iNaturalist and develop their interest in local biodiversity. I have budget to compensate you for your time during this session plus I'll have some food and drink to keep us going. Should be fun! In the registration link, please let me know when you may come and how long you can stay for. Please remember to bring your laptops! Also, Macau will be joining in the fun this year and I'm sure they would appreciate any assistance. Once again, I realise this will be a massive undertaking with lots of observations being uploaded at once yet I really hope you all can get involved, either by going out and taking pictures, identifying them or both. This is a great chance to show the world the amazing biodiversity we have. Hello! I hope you all are reading up on the target species and familiarizing yourself with them as well as checking up on the miniature lupine bags. I have already collected a few bags myself. If you are wondering what else to do, here's some plants to monitor. Be sure to look at these locations from your desktop or browser on your phone before checking on them. Obscured locations are not visible from the app. Report whether the plant populations are mostly flowering, fruiting, or neither (vegetative). Before we go out seed collecting, we need to locate and identify the plants we will be collecting from, paying special attention to large populations. When taking pictures, fill the frame with your subject and make sure it is in focus. Take pictures of the flowers and other parts of the plant. The more detail the better. Please try not to post blurry photos. Try to locate the fruiting structures and photograph them, and make note whether the plants are mostly flowering or starting to produce fruit or seeds. 3. Add it to the project under “Projects” then submit. 1. Click the green upload button at the top right corner of your screen. Choose a photo(s). 2. Add it to the project from the menu on the side. 3. Make sure the exact location of the plant is marked by finding the point on the map. 4. Obscure by clicking on "location" then under "geoprivacy" change it from open to obscured. Week three at Foxcroft Farm. 41 degrees and cloudy. It is raining, like we thought it would be, but the rain is soft and gentle, falling in small drops on our skin. It is a lot quieter on our walk into the farm’s acreage today, I think everyone knows that this is our last week. I think we are all going to truly miss our gray and cool mornings discovering things we never even knew we were looking for in the first place. Our group follows behind the other groups and we are silent and instead focus on our on boots splashing in the puddles. The rain we have received over the past few days is evident when we get there. Our once low and quiet stream is high and fast moving. Our Biocube which last week was maybe 6 inches in the water is completely submerged this week. It has also completely broken apart. We are unsure if this is because of the fast-moving water or an interaction with an animal. As we sit there on the bridge during our minutes of silent I can hear the rain dropping gently on the streams surface. There is a duck calling in the distance, but I cannot see him. I cannot hear the peepers this week as I have been able to in weeks past. For one last fifteen minutes I hear the wind blowing through the cottontails, through the red maples who are finally starting to blush, through the reeds that decorate the shore. As we sit there I record some of the bird calls I hear in hopes to upload them. I am excited to start taking pictures and to get to upload them later. The naturalist’s community is so awesome. It is really cool how quickly they can identify the species that I upload, several of my photos have received research grade identification and I am excited for what this week will bring. Since it is the third week we have finally started to get the hang of things. Using a shovel, we disturb the dirt on the shore. Then, we put the net in the water and scoop upwards, trapping whatever was inside. Instead of waiting for all the water to drain out, we swing the net in circle motions around our head and let physics do the work for us. In our first grab we find three things I have never seen before, and several things I have. We notice right away the bugs wriggling in the sediment. We see several of the shrimp like bugs that I photographed and recorded last week. A naturalist identified it into the genus Crangonyx. The first bug is about an inch long with 12 legs. The underbelly is white and the top of it is light brown with white speckles and a dark brown line down its back. 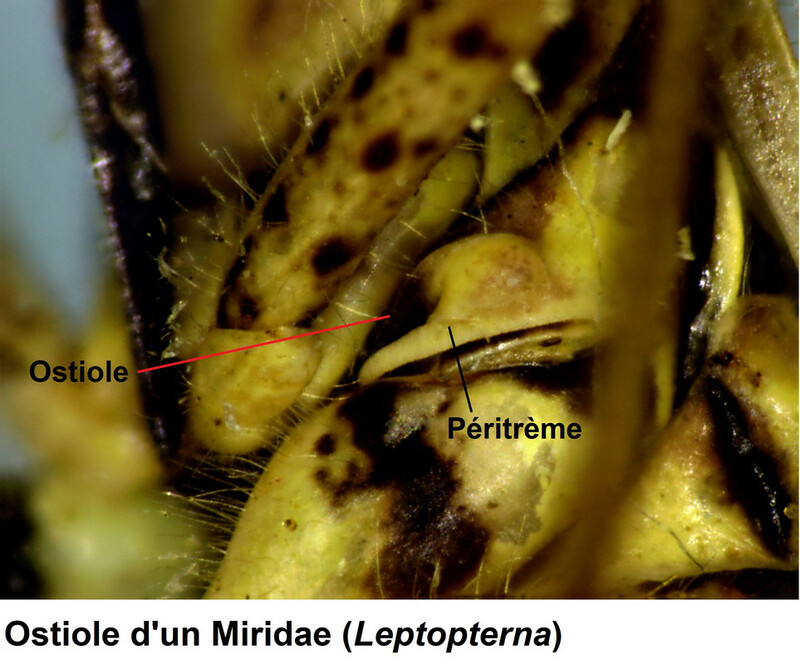 On one side of the body are thin around antennae while on the other side the antennae are thicker and flat, they are the same light brown color as its back. The bug does not necessarily look like it can swim, it moves its legs underwater as if it was walking but it does not move forward. Its back legs are longer than the front legs. The body of the bug looks like it is segmented, seven segments in total not including the head and rear portions of the bug. The second organism resembles a larger version of the shrimp like organism we found last week. The bug did not swim after capture, so it is hard to tell which end head or tail is. 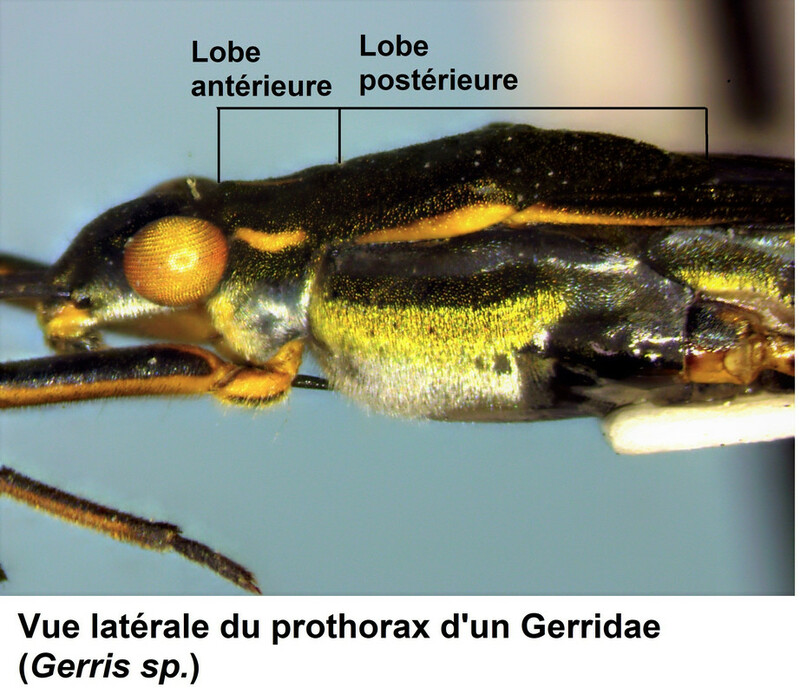 One of the ends of the bug has three long and thin antennae, each about two thirds the length of the bug itself. It is a brown color with varying patches and hues on its back. It has many legs and if you look closely it almost appears to have spikes on its back like armor. The next bug we look at looks like a cross between a stick bug and a dragonfly. It has six legs, the middle pair longer than the other two. It has a very slender body with a head that is horizontally long. Its eyes are located on either side of the head. The bug is like brown and swims leisurely by moving its legs. When we disturb the water, the bug moves its body back and forth like a fish to propel its body forward much faster. The tail of the bug is branched into three segments and they flow like a fish tail. We find two more bugs during our trip. The first of the two is a lot similar to the dragon fly bug described above, except it is a lot bigger; at least double the size in both length and in general body width. It is also a lot darker, however this bug was found in a different part of the stream a little closer to the shade so this could be due to camouflage or something of that nature. The bugs legs are much longer, its tail is only forked in two, and its front antennae are pointed. There are hairs coming off its body. It is scary and we name this bug the scorpion bug. The last bug we find is a small spider, only a little bit bigger than a large tick. The body is black but the legs are a dark brown. We are focused mostly on bug collection this week as we have viewed many of the plants the past few weeks but we just recently discovered how to really get a lot of bug diversity using the new technique. The plants I look at are a light gray-green tinted lichen that resembles barnacles. The lichen is located on a tree with very thin branches. The tree hangs over the stream and wrapping around its bottom are small green buds found on a thorn bush. There are many identical bushes and buds in the surrounding area. The branches have a reddish tint over a green base and the tips of the leaves of the buds are red and serrated. Lastly, near the edge of the stream I pluck a small green plant from one of many identical plants growing in that area. The stalk it was plucked from was several inches high. The plant has small leaves whose pattern of separation from top down reminds me of the petals of a rose. Throughout the time we were recording for our BIocube vdeo. We were laughing along with the birds calling and after some time we didn’t even feel the cold anymore. It was the most fun I have had in a while. While we were recording I saw four robins, which was the species I chose to do my population ecology on. I saw one eating a worm in the field. After a while we saw the duck we had heard in the beginning. It was across the stream, so we walked to it. We got very close and then it saw us and flew off. While we were exploring we saw old boards of what we assumed to be the old bridge. It reminded me a lot of the time I was in my own woods and I saw a tree house that had fallen. Birds nested in the house, plants grew, there even appeared to be an animal home. The boards in the woods were covered with moss, skunk cabbage grew nearby, and ants and other bugs crawled over the decaying wood. It amazed me how easily the boards were incorporated into the ecosystem. Robin Wall Kimmerer once wrote that the word ecology is derived from the Greek word “oikos” meaning home. Whenever I am feeling lost I go to the woods, and this experience has reminded me of that. Nature connects us all to our roots and it offers us its bounties. There is so much the world is asking for us to discover, we just need to listen.